China’s Belt and Road infrastructure development initiative will have its winners and losers. But for now, Beijing is trying to bolster international support for the project, which will link its western provinces to Europe, by keeping some aspects of the specific routing of rail corridors ambiguous. China has presented maps of the Belt and Road depicting the simultaneous development of many routes through different countries. This ambiguity of precisely where and when routes will emerge has been useful for keeping all countries in the region engaged. Yet, this strategy is unlikely to endure for long once the megaproject moves from the PR to the engineering phase. The economics of intermodal rail corridors suggests that eventually one or at most two rail corridors will attract the lion’s share of investment and Asia-Europe traffic. China is not simply proposing to build rail lines, it is proposing an 8,000+ km intermodal corridor that is capable of successfully competing for market share with existing maritime and air cargo options. China has spent four decades attempting to perfect these maritime supply chains though massive targeted investment in eastern coastal provinces. Thus, Chinese planners are well aware that achieving their aims for one rail corridor will be extremely challenging; simultaneously achieving it for three or four different corridors would be next to impossible. To be efficient, a transcontinental intermodal rail corridor must receive continuous capital investment and maintenance with the goal of making trains incrementally longer, faster and heavier. If investment is spread over too many corridors, none of the operational efficiency goals are likely to be reached. In the United States, for example, the Burlington Northern Santa Fe (BNSF) is nearly finished with a decades-long effort to complete the double tracking of its primary southern transcontinental corridor to boost cargo capacity and reduce transit time between Los Angeles and Chicago. This is a classic example of path dependence through agglomeration economies. Once a single route gains a foothold, the return on investment from reinvestment in this corridor is more advantageous than piecemeal investment in alternative corridors. Some cargo types, such as coal, are rail dependent. For containerized consumer goods, however, shippers of Asia-Europe cargo have options that are already reasonably efficient. They will only embrace the rail option if it is truly advantageous from a cost and/or speed perspective. The likelihood that Silk Road investment for Asia-to-Europe cargo will eventually select a "winning" route creates a dilemma for China. Countries that conclude that they will be bypassed may withhold support or actively oppose the plan. To counteract this effect, China must emphasize the potential benefits even for countries that are not sitting along the conduit for Asia-Europe trains. For example, countries that do not directly participate in the Belt and Road can still benefit through reductions in import costs if the route turns Eurasia from a trade black hole to a major trade conduit. 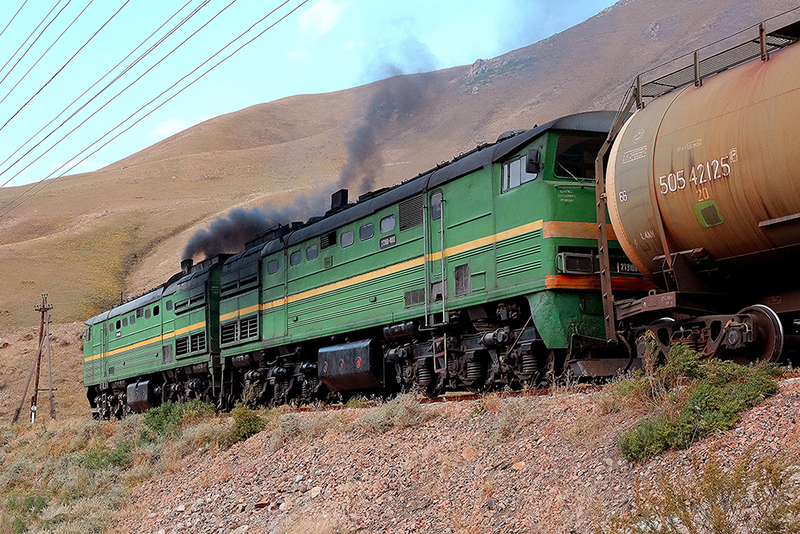 Eurasia currently suffers from inadequate infrastructure that is magnified by extreme overland distances between major producers and consumer markets. This impact is best illustrated by World Bank data on the cost to import and export a container. Tajikistan currently pays the highest cost in the world to import at over $10,000 per container compared to a global average of $1,877. Figures for other Silk Road countries show a similarly dire picture of inaccessibility. Importing a 20-foot container of auto parts from its largest trade partner costs $6,452 to transport to Uzbekistan, and $5,265 to Kazakhstan. This only accounts for the direct costs and excludes the inventory cost of time in transit. Many economists compare excessive transportation and inventory costs to a de facto tariff on the price of imported goods. But unlike a tariff, these excess costs produce no revenue to the government. The near-term impact of an efficient Eurasian intermodal rail corridor would likely to be faster, lower-cost imports. This would provide consumers and businesses with additional disposable income that could be directed toward raising living standards and economic modernization. Importantly, the benefit of lower cost imports can accrue to countries that are not directly along the preferred Asia-Europe corridor. For example, a route through Kazakhstan would likely lower transport costs to Kyrgyzstan as well. China should be clear that routing an intermodal corridor through a territory will not automatically create economic opportunities or jobs. Intermodal trains rarely stop. The whole point of intermodal transportation is to move a sealed box between two points unopened – that is, unless value can be added en route. This reality of intermodal transport makes the impact of a rail corridor far different from that of a highway, or a caravan route for that matter. A realistic accounting of the Belt and Road should make clear that this corridor is not guaranteed to transform the territory it transverses – neither domestically nor internationally. If the countries/regions in the middle cannot find a way to add value to cargo en route, e.g. make it worthwhile for the trains to stop, then the principal revenues accruing to Eurasian countries will be transit rents – beneficial, but not transformative. Even so, given the extreme surcharges that Eurasian countries pay (in dollars and time) to the importation of consumer goods, China’s Belt and Road initiative presents an opportunity to remove a significant development encumbrance to all the economies of the region.